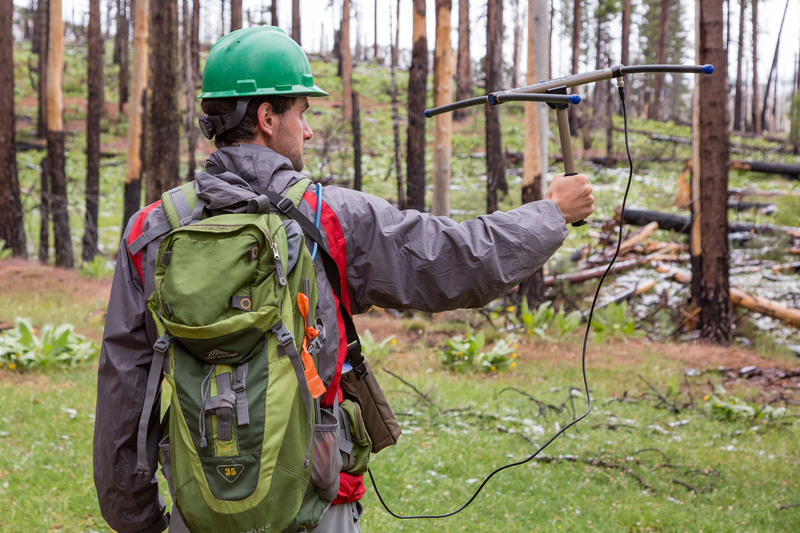 On a recent trip out West, Stillman had difficulty in locating some of the birds carrying transmitters. 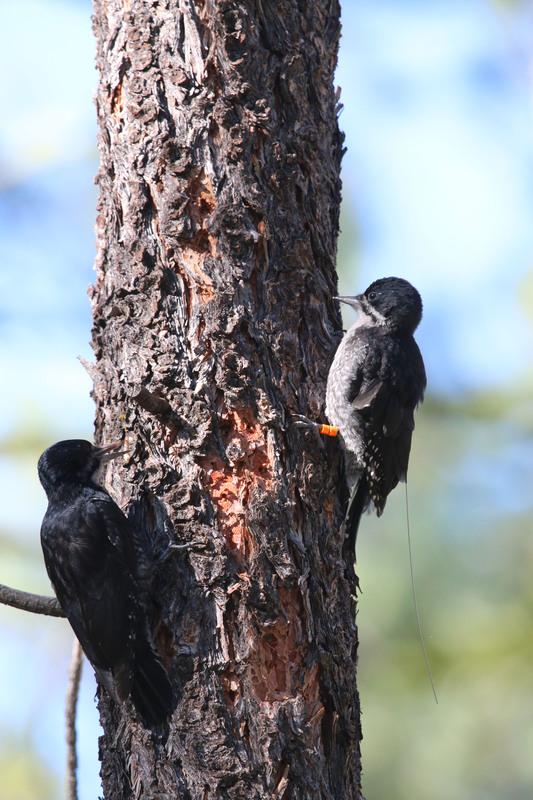 Instead, he found pilots who could fly him around, covering greater distances in order to track down the birds. 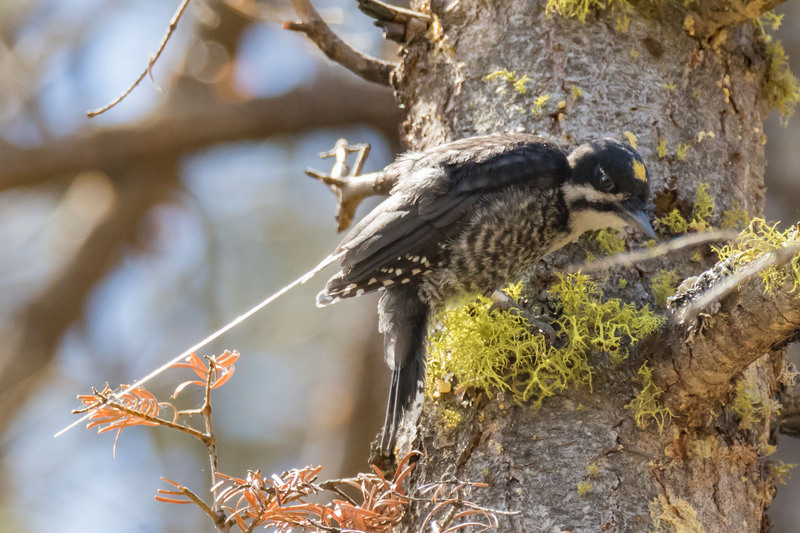 He discovered the birds were traveling much vaster distances than previously thought. 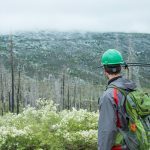 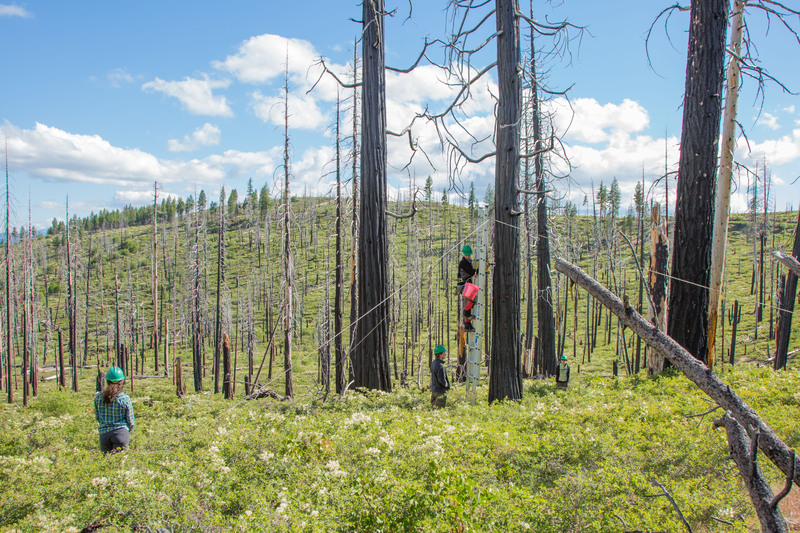 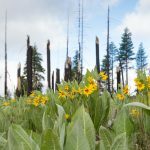 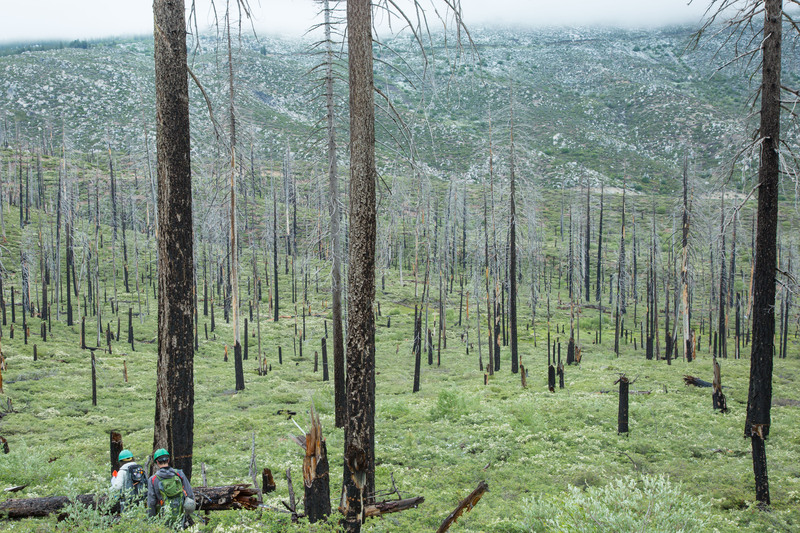 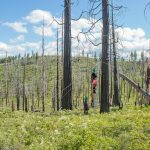 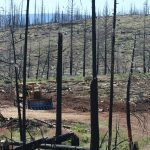 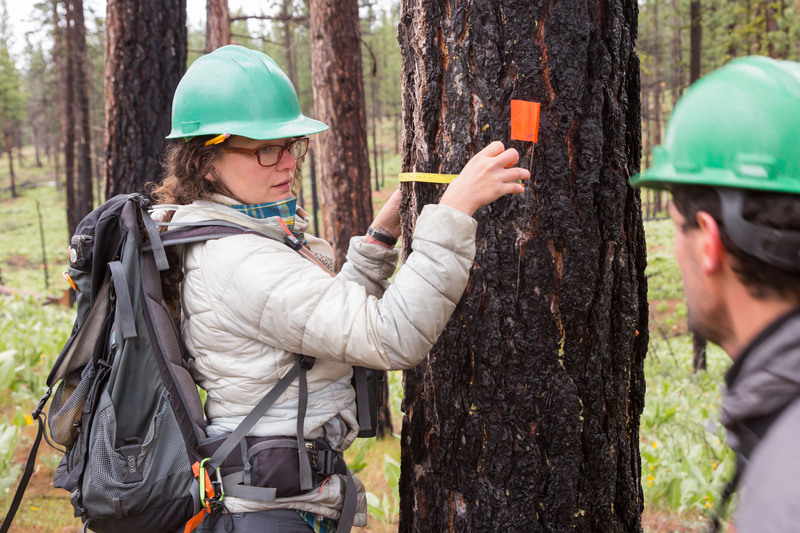 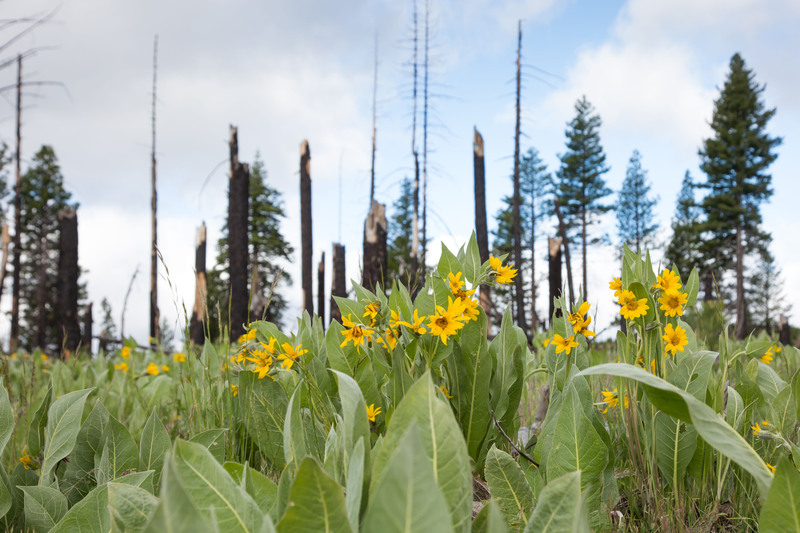 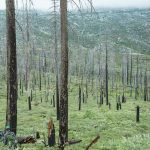 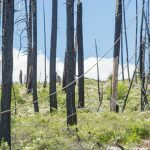 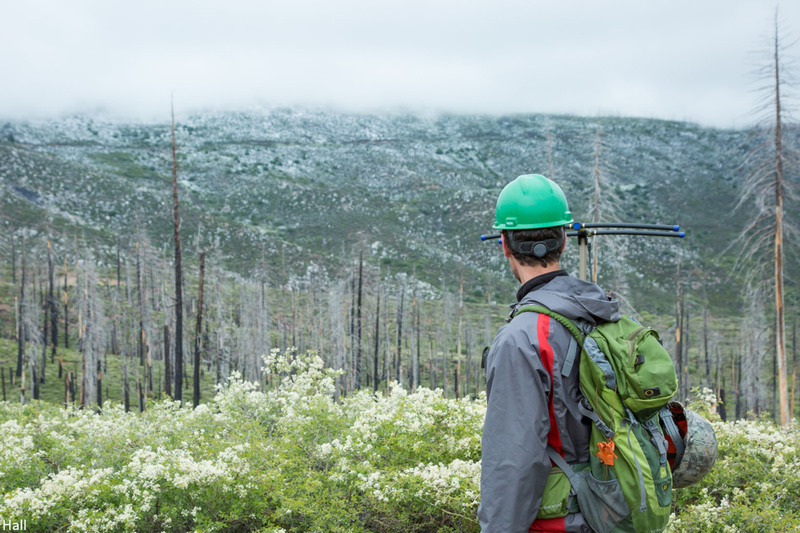 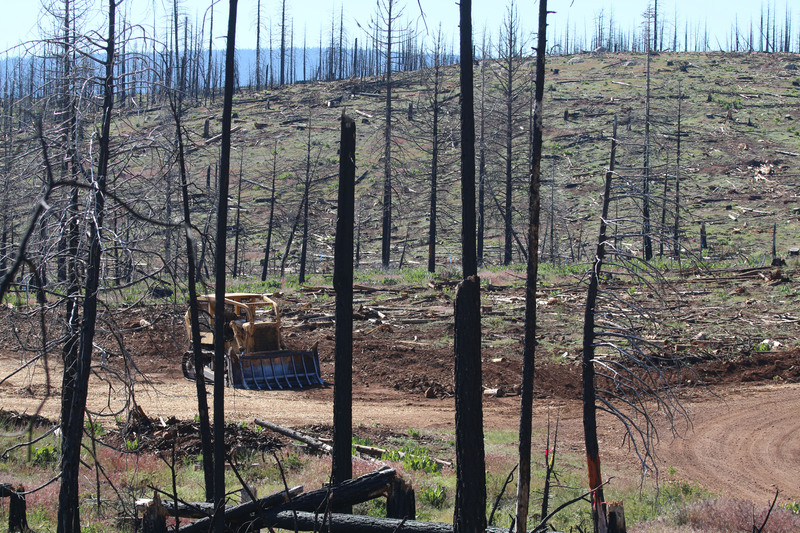 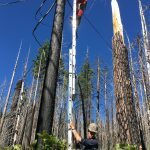 “When a fire burns hot and moves across the landscape, it leaves behind a forest of snags that provide a feast for beetles and their grubs, which in turn are food for larger animals,” Stillman says. 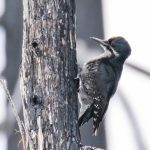 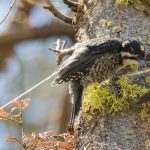 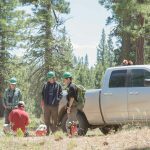 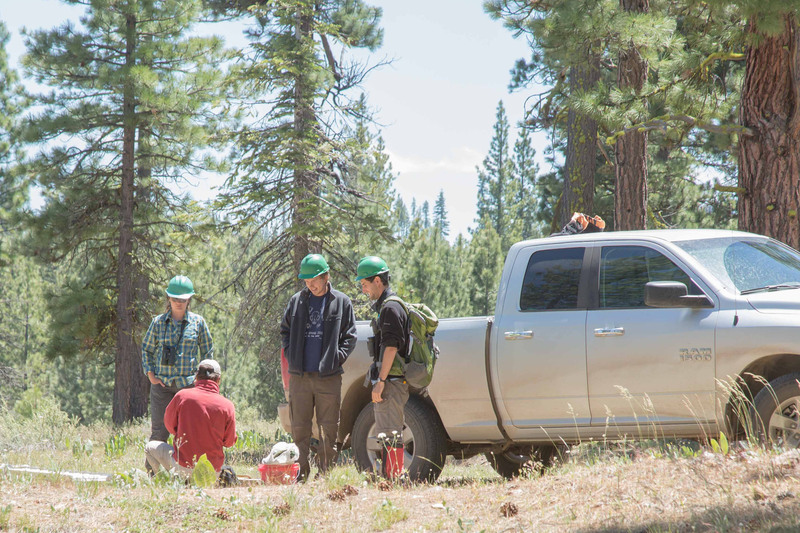 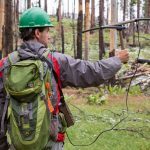 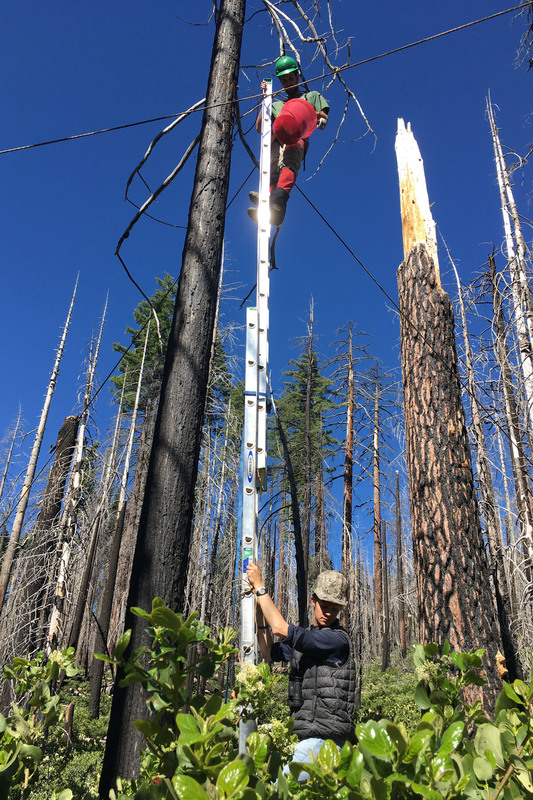 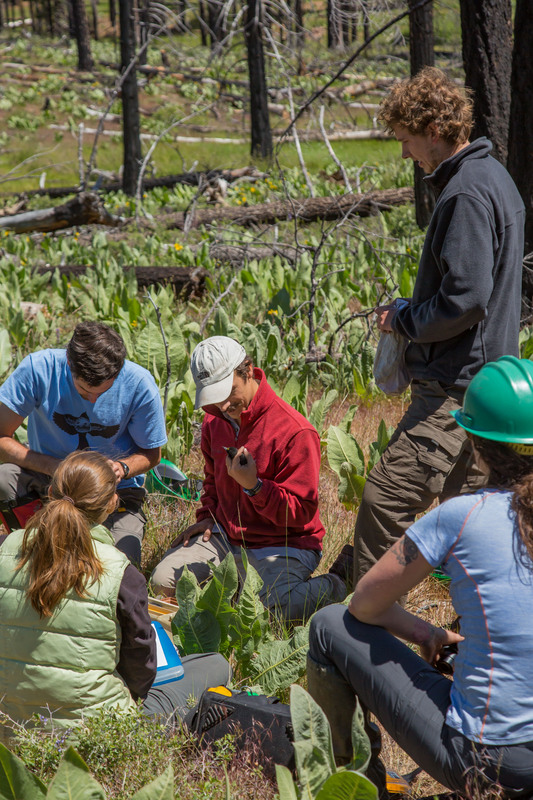 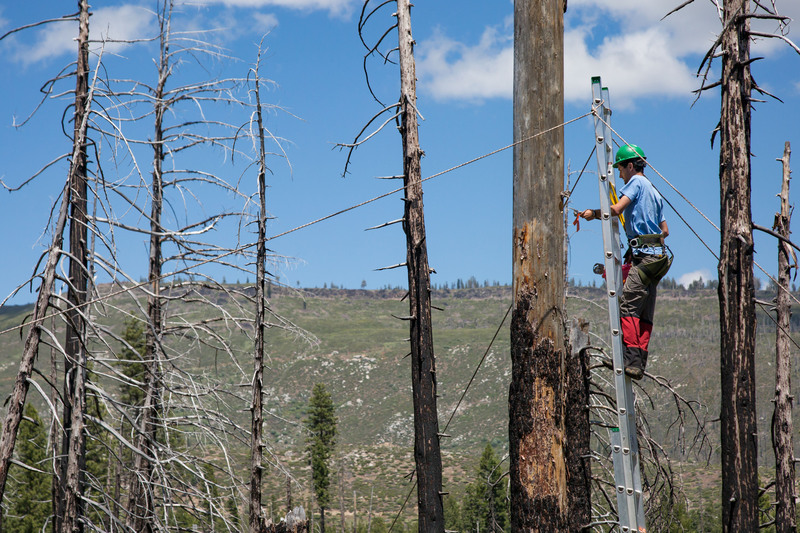 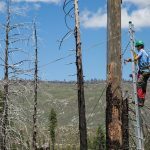 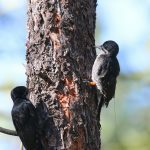 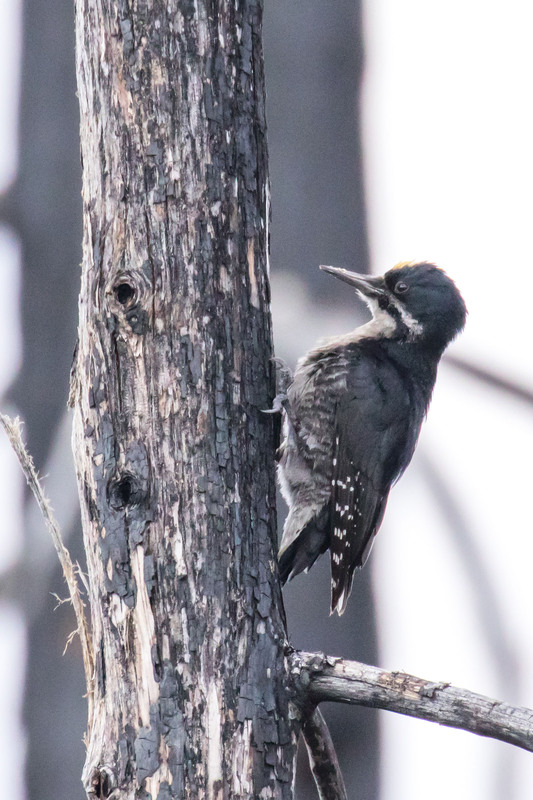 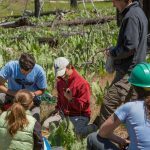 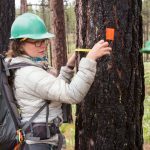 This study was made possible by funding from Plumas National Forest, the Pacific Southwest Region of the U.S. Forest Service, and the UConn EEB Zoology Award (2016, 2017).